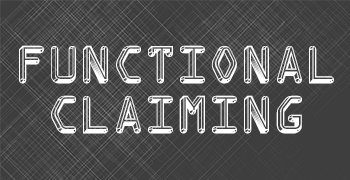 Functional claiming issues have bedeviled patent practitioners in recent years. In Williamson v. Citrix Online, the Federal Circuit weakened the strong presumption against the application of 35 USC §112(f) against claim language that did not use the word “means.” After Williamson, Examiners began interpreting claim language under §112(f) even when practitioners did not intend such interpretation, and indefiniteness rejections were made whenever it was alleged that adequate corresponding structure could not be found in the specification. These presentations provide insights and practical tips for patent practitioners in both the electrical and chemical arts that are trying to avoid indefiniteness rejections once claims have been interpreted to fall under §112(f). This presentation is for patent practitioners looking for insights and practical tips on functional claiming for chemical applications. This presentation is for patent practitioners looking for insights and practical tips on functional claiming for software/electrical applications.